If you want to shoot ultra-close-up images, you need a macro lens. There are various ways to shoot extreme close-ups, including the use of hollow extension tubes, reversing rings or close-up ‘filters’ that screw into to the accessory attachment thread of regular lenses. However, the main advantage of any ‘system’ camera like a DSLR or mirrorless camera is that you can fit the right lens for the shooting scenario. And when it comes to getting in close, there’s no beating a proper macro lens. You’ll often see telephoto zoom lenses with the word ‘macro’ somewhere in their title, but they typically give a maximum magnification factor of merely 0.3x to 0.5x. By comparison, most (but not all) macro prime lenses deliver a full 1.0x or 1:1 magnification ratio. But what does that actually mean? Basically, at 1.0x magnification, an object will be reproduced on a camera’s image sensor at full life size. So, for example, something the size of a postage stamp will pretty much fill the whole image frame. This translates into enormous magnification when you view the resulting image on-screen or in print. Indeed, zoom into pixel level with the image on a computer screen and you can see levels of detail that are invisible to the naked eye. 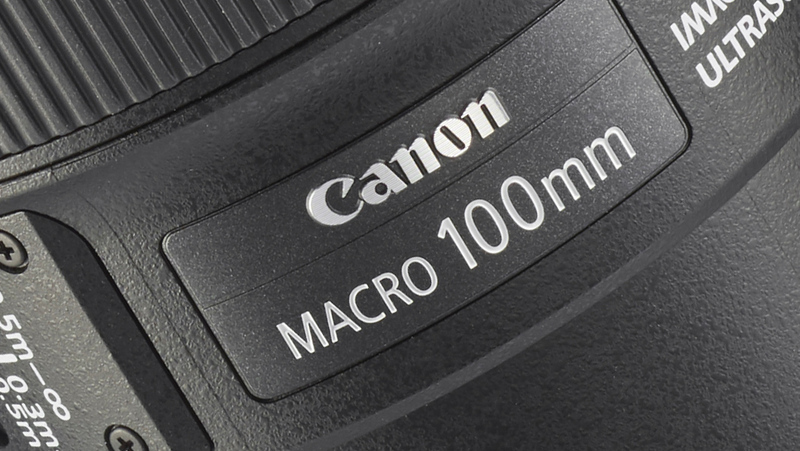 Some macro lenses are designed exclusively for APS-C format DSLRs. 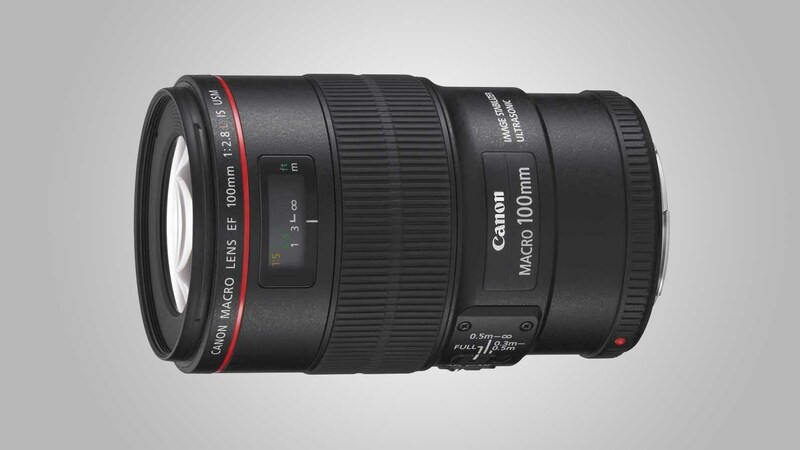 Just like full-frame compatible lenses, they give a maximum of 1.0x magnification. However, due to the 1.5x crop factor of Nikon DX format cameras such as the D5600 (1.6x for Canon APS-C like the EOS Rebel T7i / EOS 800D), these DSLRs give an even greater ‘effective’ magnification effect, regardless of whether you fit them with an APS-C format or full-frame compatible lens. There are actually advantages in using a full-frame compatible macro lens on an APS-C class body. The typically longer focal length gives a longer minimum focus distance, at which maximum magnification is achieved. This gives you a more comfortable working distance, so the front end of the lens doesn’t come overly close to the subject. 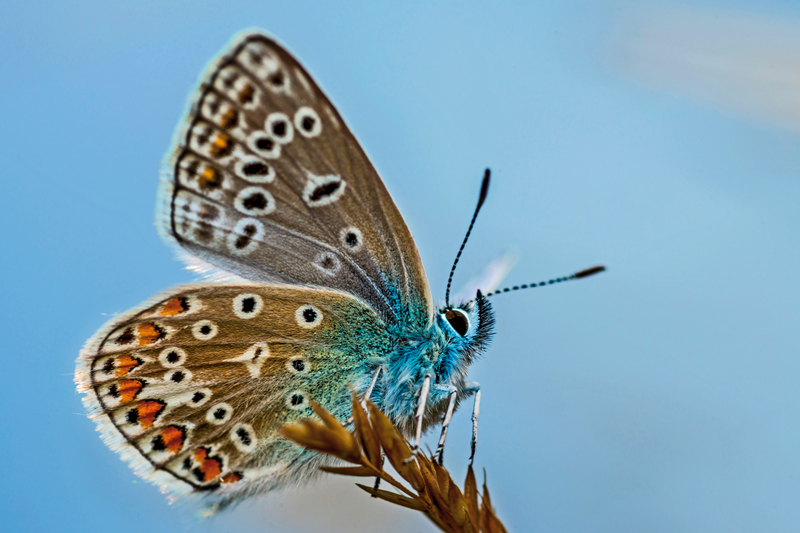 It’s therefore easier to photograph bugs and other tiny wildlife without scaring them away before you’ve got your shot. It also reduces the risk of your lens casting a shadow over what you’re shooting, if you’re relying on ambient lighting rather than using flash. One problem in macro photography is that depth of field can be tiny. Indeed, at a macro lens’s minimum focus distance, to enable the greatest magnification, depth of field can shrink to just a couple of millimetres. An important factor in performance is therefore how well the lens retains good image quality at very narrow apertures of around f/16 or f/22, where you’ll gain precious extra millimetres in depth of field. Accurate autofocus can also be a big advantage but, in practical terms, it’s usually better to focus manually on the exact part of an object that you want to be rendered most sharply. 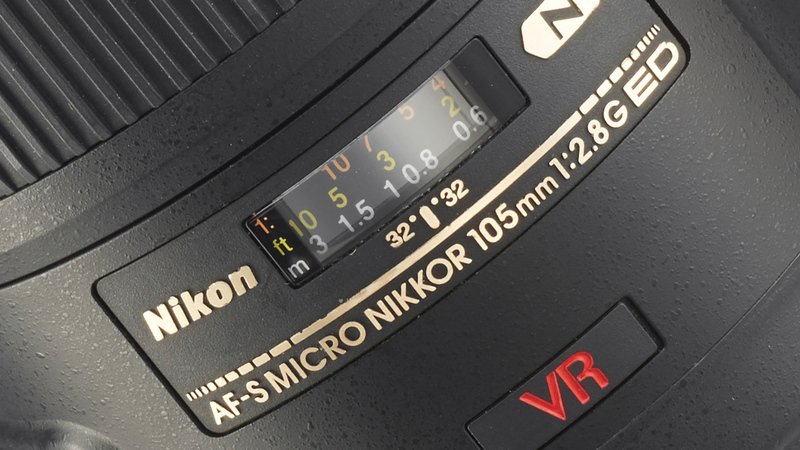 The magnified Live View option in recent Canon and Nikon cameras is very helpful for this, enabling manual focusing with much greater precision than using the viewfinder. Modern macro lenses aren’t just one-trick ponies. The typical combination of a fairly wide aperture rating and short telephoto length also makes them good for portraiture and, in some cases, even for action sports and wildlife photography under dull lighting conditions, where a wide aperture enables you to maintain fairly fast shutter speeds. Concentrating on close-up shooting, however, here are our top six recommendations for Canon-fit macro lenses. 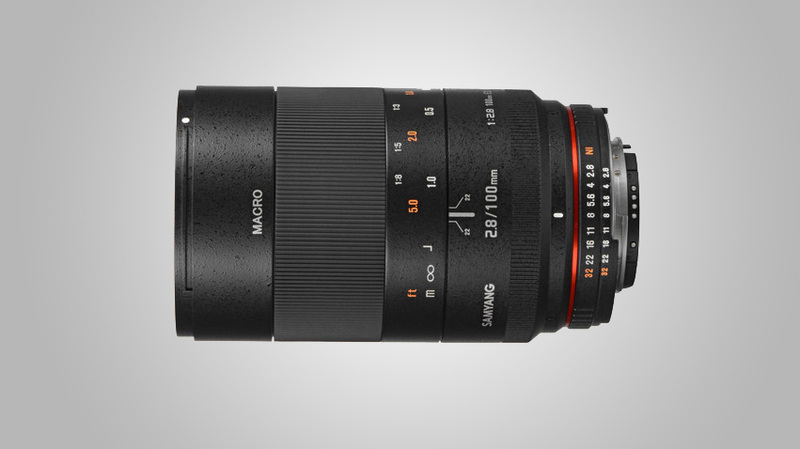 Tamron has launched some fabulous prime lenses and G2 (Generation 2) zooms. 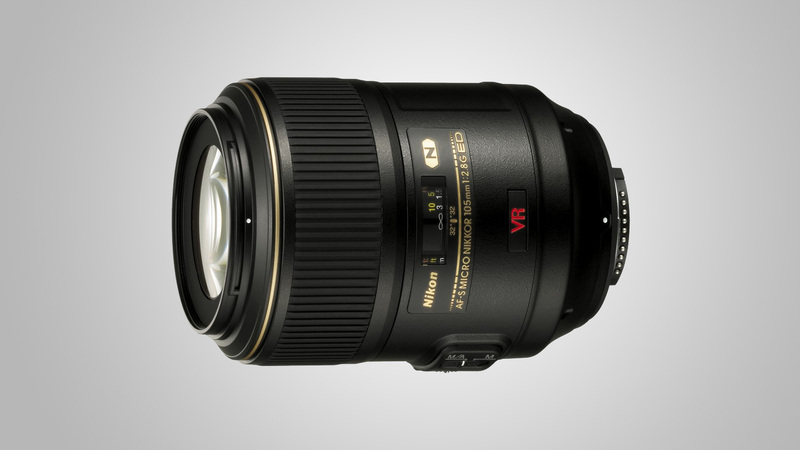 This lens doesn’t bear the G2 badge but is nevertheless a new generation of the 90mm VC USD lens. It’s easily distinguishable by having a silver band around the rear, instead of a gold ring around the middle. Compared with the previous edition, the new version has upgraded optics, improved coatings, better autofocus and a ‘hybrid’ image stabilizer, which counteracts the effects of X-Y shift as well as vibration. It works better for handheld close-up shooting but you’ll still need a tripod for full 1.0x macro shooting. Build quality and all aspects of image quality and performance are simply spectacular. 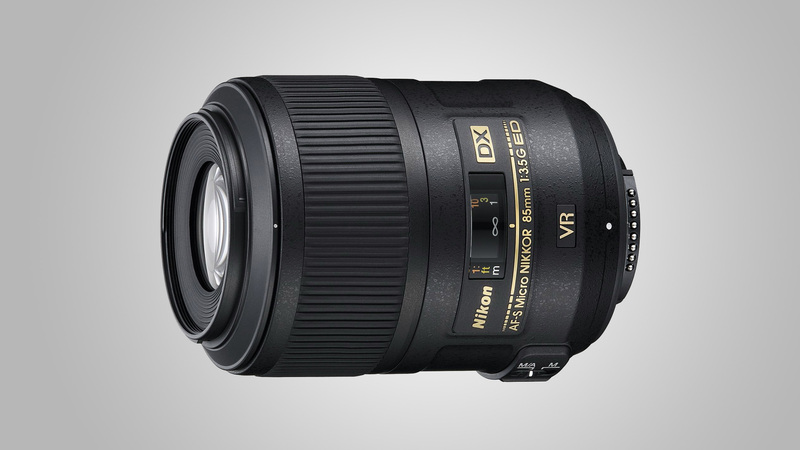 It’s an incredible lens at a very reasonable price. The main claim to fame of this lens is that it was the world’s first to feature a ‘hybrid’ image stabilizer, although that’s now been inherited by the newer Canon 35mm macro lens, and Tamron has developed a competing system. Even so, the quality of this lens isn’t just about its stabilizer. As an L-series optic, it boasts pro-grade construction, complete with weather-seals. Sharpness and contrast are very good even when shooting wide-open at f/2.8. More importantly for a macro lens, image quality remains very impressive right down to f/22. Color fringing is minimal at all apertures but barrel distortion is a little more noticeable than from Canon’s older, non-stabilized 100mm lens. Astonishingly good value, this Sigma is a full-frame compatible macro lens that’s packed with high-end features. The list of attractions includes ring-type ultrasonic autofocus, four-stop image stabilization with switchable static and panning modes, a focus distance scale under a viewing panel, and a three-position autofocus limiter switch that can lock out both the short and long sections of the full range. The lens is supplied complete with a hood, a hood converter for improved efficiency with APS-C format cameras, and a smart padded soft case. Build quality and handling are excellent, although the Sigma doesn’t feature weather-seals. Corner-sharpness at f/2.8 could be a little better but that’s no real issue for macro shooting. Overall, performance and image quality are excellent, making the Sigma unbeatable value for money. Image stabilization is great for general handheld shooting but, for extreme close-ups, it’s of negligible benefit. The lack of stabilization in this older Canon 100mm macro lens therefore isn’t a deal-breaker for macro photography, especially as it’s so much less expensive to buy. Ideal as a combined macro/portrait lens, this one has a near-identical focal length on full-frame cameras to the EF-S 60mm on APS-C bodies. Both lenses look very similar, although the 100mm is bigger and has extra finery including a UD (Ultra-low Dispersion) element and a long-range autofocus limiter switch, but that’s unfortunately of no use when shooting close-ups. Sharpness is impressive, colour fringing is fairly minimal, and barrel distortion is lower than in Canon’s up-market L-series 100mm lens. Compared with Canon’s newer EF-S 35mm macro lens, this one is much more conventional, without image stabilization or a built-in Macro Lite. Build quality is more substantial and the autofocus system is ring-type ultrasonic, with the usual full-time manual override and a distance scale beneath a viewing panel. With an effective 96mm focal length in full-frame terms, the viewing angle is more telephoto than ‘standard’, and quite ideal for portraiture. The working distance between the front of the lens and the subject for full 1.0x macro shooting is 9cm, compared with the 35mm lens’s very tight 3cm, but it’s still a little close for comfort. It edges ahead of the 35mm for image quality, with better corner-sharpness, less color fringing and practically zero distortion. As an ‘EF-S’ lens, this one is designed exclusively for APS-C format cameras, and isn’t compatible with full-frame bodies. Like several recent Canon lenses, it features a stepping-motor autofocus system with an electronically coupled focus ring, and no focus distance scale on the barrel. Equivalent to a 56mm lens on a full-frame body, the viewing angle makes the lens ideal as a ‘standard prime’, even without taking its macro abilities into account. Hybrid image stabilization is inherited from Canon’s range-topping 100mm L-series lens. Uniquely, this lens has an LED ‘Macro Lite’ built into its front, with two brightness levels and the option to use both sides or just the left or right. It’s a good thing too, as the front of the lens comes to just 3cm from the subject at its closest focus setting, blocking most ambient light. However, even at full power and at the shortest focus distance, you’ll need a slow shutter speed of about 1/15th of a second at f/8 (ISO 200). You also lose the advantage of short-duration flash to freeze motion, counteracting camera-shake and subject movement. Centre-sharpness is pretty good, on a par with the Canon 60mm lens, although it drops off more in the corners at wide apertures. Autofocus is fast and the electronic coupling enables very smooth and precise manual adjustments for critical close-up focusing. Nikon currently offers 40mm and 85mm DX format (APS-C) macro lenses, along with 60mm and 105mm FX format (full-frame) options. You’re somewhat spoilt for choice when choosing which Nikon lens to buy and, as it turns out, there are some even more attractive third-party alternatives on the market. Here’s our list of top six buys, taking build quality, performance and value for money into account. Tamron has developed something of a history in manufacturing popular 90mm macro lenses. This latest generation lens is easily distinguishable by having a silver band around the rear, instead of a gold ring around the middle. The new version has upgraded optics, improved coatings, better autofocus and a ‘hybrid’ image stabilizer, which counteracts the effects of X-Y shift as well as vibration. It works better for handheld close-up shooting but you’ll still need a tripod for full 1.0x macro shooting. Build quality and all aspects of image quality and performance are simply spectacular. It’s an incredible lens at a very reasonable price. Astonishingly good value, this Sigma is a full-frame compatible macro lens that’s packed with high-end features. Its pro-spec design includes ring-type ultrasonic autofocus for fast and near silent focusing, a highly effective four-stop image stabilization with switchable static and panning modes, a focus distance scale under a viewing panel, and a three-position autofocus limiter switch that can lock out both the short and long sections of the full range. Corner-sharpness at f/2.8 could be a little better but that’s no real issue for macro shooting. 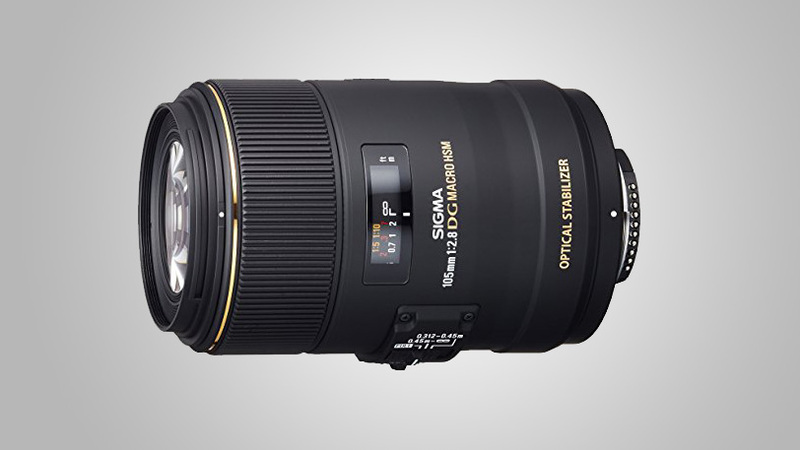 Performance and image quality are excellent, making the Sigma unbeatable value for money. Sublime handling and Nikon-rivalling build quality completes this terrific lens. Nikon currently markets several of what it calls ‘Micro’ lenses, including two DX models that are specifically designed for use on APS-C format cameras. This was the world’s first macro lens to include an optical stabiliser, although it’s not a hybrid system. The upmarket build includes a weather-sealed mount, an ED (Extra-low Dispersion) optical element, Nano Crystal coating to reduce ghosting and flare, and fast ring-type ultrasonic autofocus. Autofocus and VR (Vibration Reduction) work well for general shooting but are of no real benefit for extreme close-ups. Manual focusing is more precise than in other recent Nikon ‘G-type’ macro lenses and the image quality is very good overall. 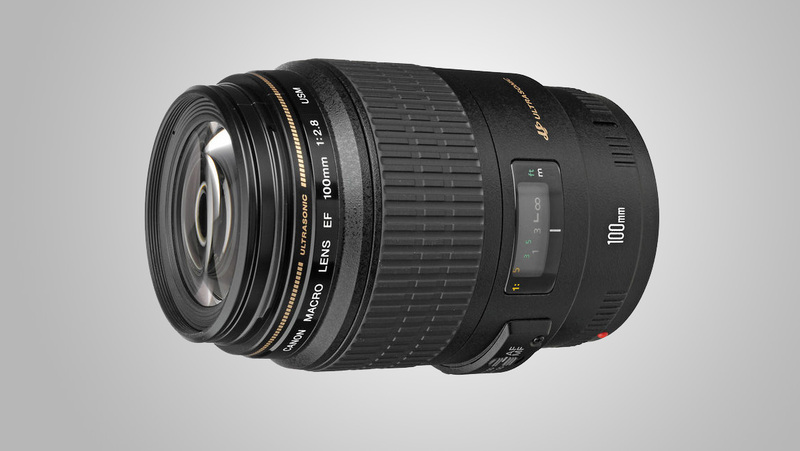 However, it’s relatively poor value compared with the latest Tamron 90mm and Sigma 105mm lenses. 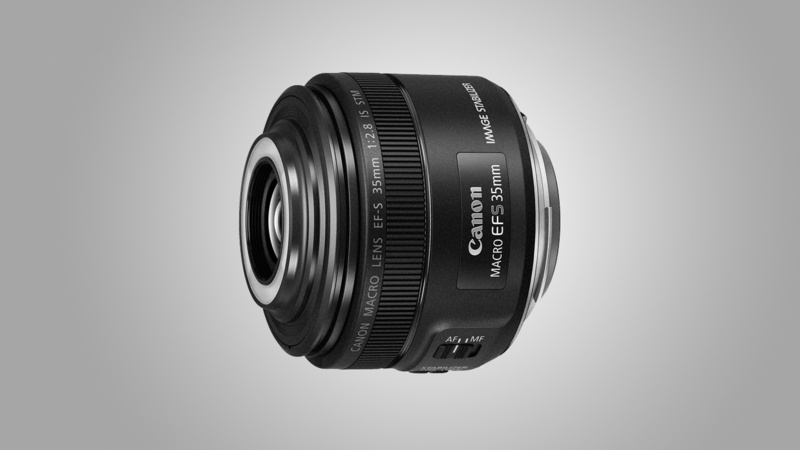 This manual-focus Samyang macro lens is available in several different mount options. In all but the Nikon-fit edition, aperture is also set manually. However, the Nikon version includes the electronics and mechanics required for adjusting the aperture from the host camera. The lens is well engineered and handles beautifully. The focus ring has a long travel and is silky smooth in operation, enabling excellent precision for very fine adjustments. High-quality optical elements include both ED (Extra-low Dispersion) and HR (High Refractive) glass. Sharpness and contrast are good even at the widest available aperture of f/2.8, and remain very consistent throughout most of the aperture range. 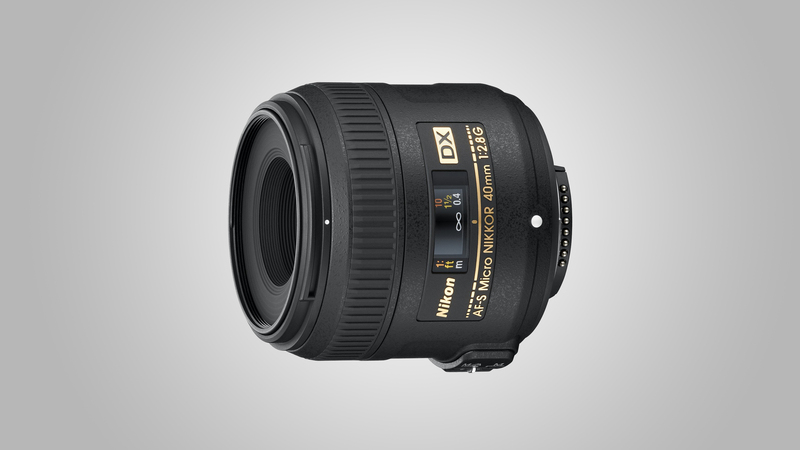 Physically, this DX-format lens is 50 per cent longer than its 40mm Nikon sibling. The minimum focus distance is more like that of FX-format 90-105mm macro lenses, at 29cm and unlike the Nikon 40mm, it has an internal focusing system so that the front element doesn’t extend. The upshot is that the working distance for full 1.0x macro shooting is greatly improved, at 14.5cm compared with the 40mm lens’s 3.5cm. Further good news is that this lens features VR (Vibration Reduction), as well as an ED (Extra-low Dispersion) element, both of which are lacking in the 40mm lens. 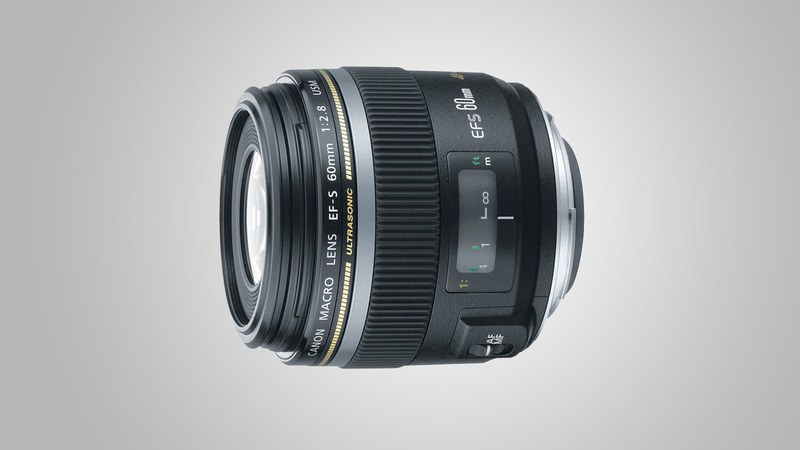 However, the f/3.5 aperture rating is two-thirds of a stop slower than in most macro lenses. Sharpness is uninspiring at f/3.5 but much better at medium to narrow apertures. Overall performance is good, and manual focusing is more refined than in Nikon’s 40mm lens. 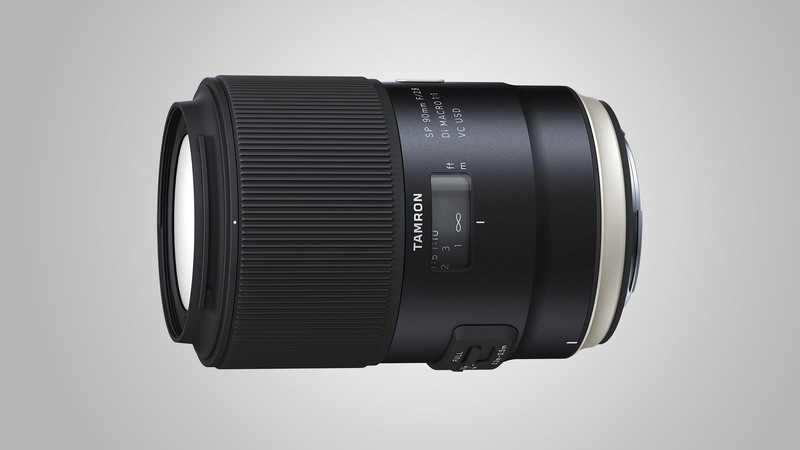 Even so, we prefer the FX compatible lenses from Sigma or Tamron, even for use on DX camera. Relatively tiny and a real lightweight, this lens measures a mere 69 x 65mm and, at 235g, is only about a third of the weight of many macro lenses. This is due to it being a DX-format lens, having a short 40mm focal length, and lacking an internal focusing movement. The front of the lens therefore extends physically at shorter focus settings, coming to just 3.5cm from the subject at its minimum setting for full 1.0x magnification. This tends to cast the object being photographed into shadow when using ambient lighting, making flash or constant artificial lighting a must. Image quality is very good, but autofocus is pretty slow, and manual focusing is hampered by a lack of smoothness and precision in the focus ring.